When beautiful archaeologist Dilara Kenner is contacted by Sam Watson, an old family friend, to say that he has new information about her father, now missing for three years, Dilara abandons her Peruvian dig to fly to Los Angeles to meet with him. But at the airport, Sam speaks instead of Noah’s Ark—the artifact her father had long been searching for—and the possible death of billions. Before Sam can explain, he collapses. With his dying breath he urges Dilara to find Tyler Locke—a man she’s never heard of. Two days later Dilara manages to track down former combat engineer Tyler Locke on an oil rig in the North Atlantic. Her helicopter transport goes down well short of the oil rig’s landing pad, and Dilara and those aboard nearly drown. No sooner is Dilara safely on the rig than she convinces Tyler the crash was no accident. She begs Tyler to help her uncover the secret behind Noah’s Ark and more importantly, her father’s disappearance. As the picture begins to come into focus, they realize they have just seven days to find the Ark before its secret is used to wipe out civilization once again. 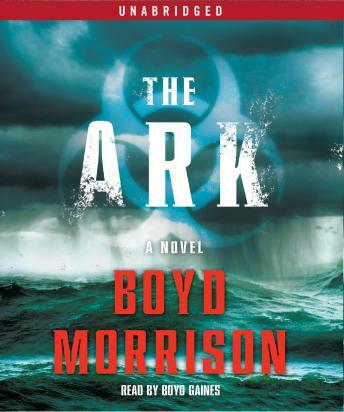 With a chilling premise and a blistering pace, Boyd Morrison combines all the best elements of a blockbuster thriller with an intelligent and fascinating exploration of one of the Old Testament’s great mysteries.